Everyone nose—er, knows—which reindeer these peanut butter treats pay homage to! Get out the maraschino cherries and let's go. 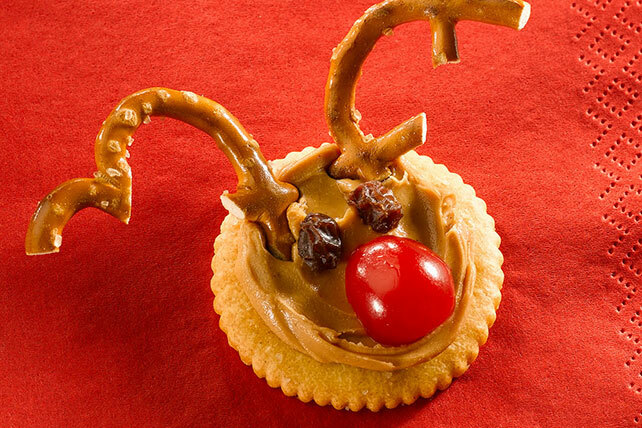 Spread crackers with peanut butter for "reindeers' heads." Add raisins for "eyes," cherry halves for "noses" and pretzel twist pieces for "antlers." Substitute PHILADELPHIA Whipped Cream Cheese Spread for the peanut butter.